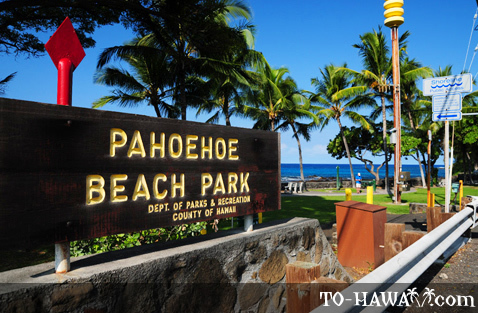 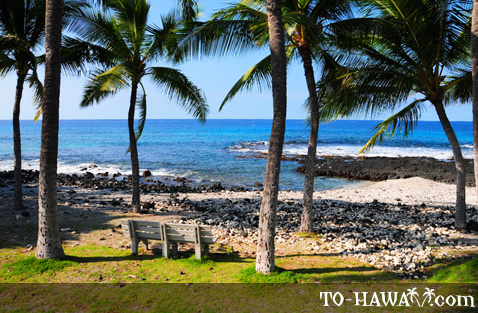 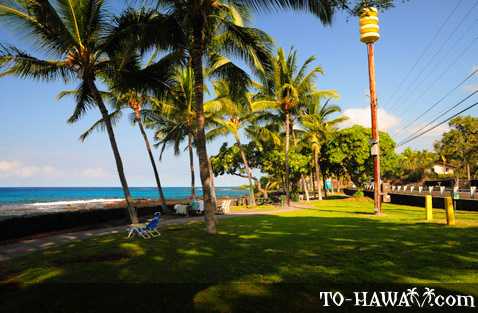 Pahoehoe Beach Park (view panorama) is mainly frequented by fishermen and picnickers as it doesn't provide easy access to the ocean. 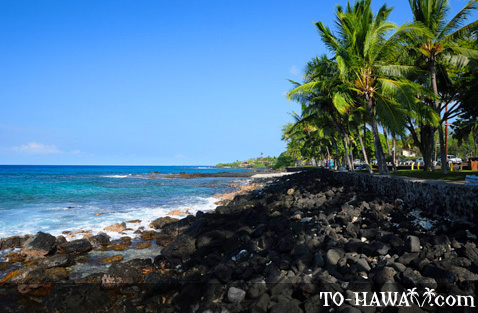 The beach is rocky and there is a low seawall at the water's edge, which acts as a barrier against high waves. 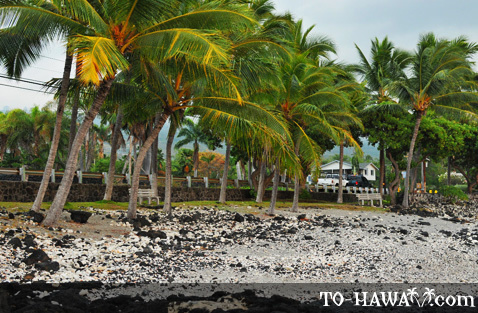 There is only a small pocket of sand mixed with coral rubble, so it is not a good beach for swimmers. 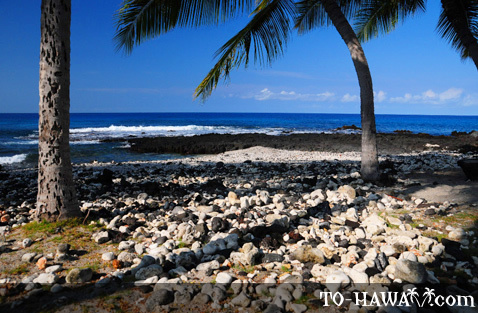 However, Pahoehoe makes up for it by being a nice spot for a picnic or ball games. 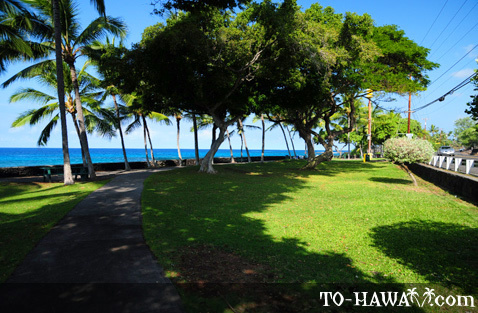 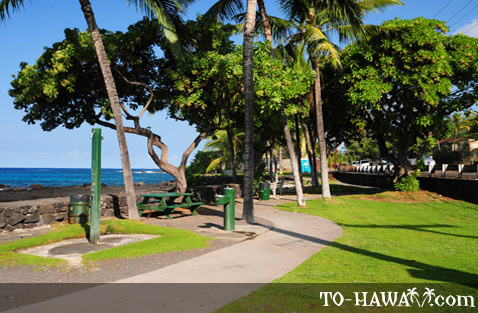 The park is shaded by kiawe trees and has grassy areas and picnic tables. 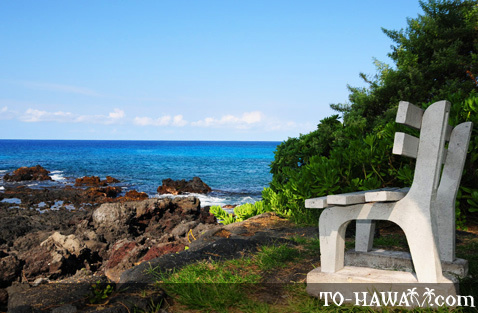 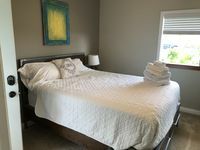 When the ocean is calm experienced snorkelers and scuba divers frequent Pahoehoe because it offers some interesting underwater sights, such as ancient lava formations, colorful marine life and a beautiful coral reef. 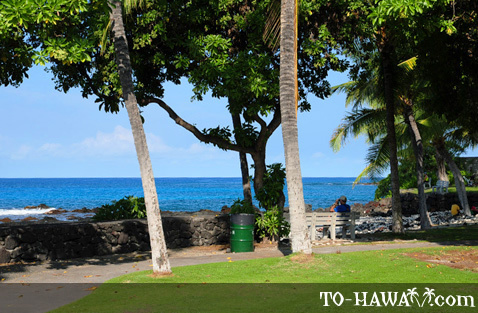 Beginners are not advised to dive in because of the rocky nearshore ocean bottom and occasional rough currents. 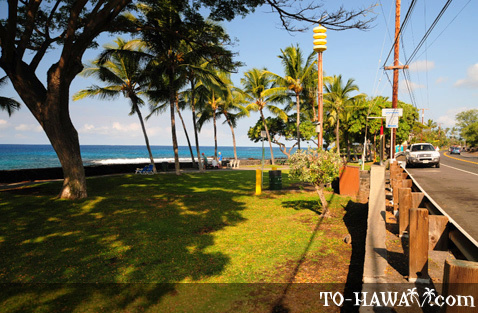 Directions: From Kailua Kona, drive south on Alii Drive. 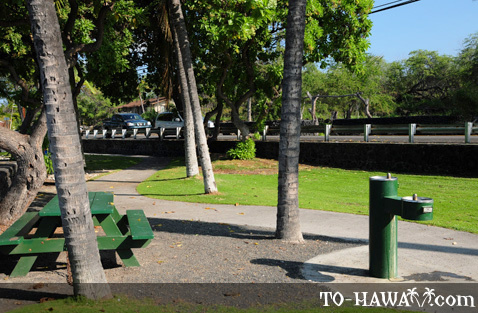 The beach park is located between Mile Markers #3 and 4.